New research discovers that even normal birth-weight babies are being sent to the neonatal intensive care unit (NICU) more frequently and doctors are wondering why. No parent wants to visit their newborn in the neonatal intensive care unit. But new research out of the Geisel School of Medicine at Dartmouth is indicating that admission rates have been on the rise in the United States, and not just for underweight babies. In fact, newborns of all sizes have been increasingly admitted into hospital NICU facilities, causing experts to wonder whether potential overuse of the department, often associated with preemies, could pose a problem. In an article published online by JAMA Pediatrics, researchers Wade Harrison, M.P.H., and David Goodman, M.D., M.S., considered an astonishing 18 million births across the country. In their January 2007 through December 2012 analysis, they discovered that NICU admission rates for all birth weight categories rose. The total increase went from 64 to 77.9 per 1,000 live births. Interestingly, almost 50% of babies being brought into the unit by 2012 were of normal birth-weight or born at 37 weeks or later and considered full-term. 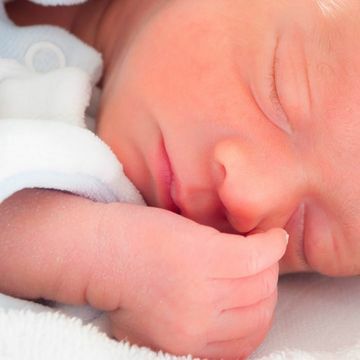 Newborns are commonly sent to the NICU due to "complications of prematurity such as problems breathing, life-threatening infections, and low blood sugar," says lead author Harrison, a researcher at Dartmouth's Institute for Health Policy and Clinical Practice. However, the data source used in this study didn't indicate why a baby was admitted. For this reason, Harrison and Goodman cannot say whether the rise in admissions is a good or bad thing. Although this body of research didn't aim to explain why rates are increasing, Harrison notes two potential reasons for the trend: increased patient need (which would mean the uptick is necessary and appropriate) or overuse because of health system factors and physician practice patterns (which would mean the increase is unnecessary and inappropriate). The good news is that in the 55 years since the very first NICU opened its doors, offering highly specialized attention, the neonatal mortality rate has plummeted from 18.73 per 1,000 live births to just 4.04 per 1,000 live births in 2012. This means that premature and sick infants have been successfully receiving the high-intensity care they require. But experts like Harrison and Goodman are concerned that NICUs are frequently working with normal-birth-weight and term infants. So the question remains: Are babies being treated without good reason? "When a newborn is very sick, being admitted to NICU care is absolutely a good thing," Harrison told Fit Pregnancy. "What is important, though, is that each newborn receives the appropriate level of care to meet his or her health needs—no more, no less." "There are always concerns when any patient, newborn or older, receives more intensive care than is needed such that the risks of treatment could outweigh the benefits, in addition to incurring additional costs," Harrison continues. Unfortunately, very few researchers have looked closely at this issue. And the U.S. Standard Certificate of Live Birth only added NICU admittance to its list of information in 2003. What's more, these recent findings need to be taken with a grain of salt because they didn't determine whether the NICU admissions were extraneous. It's entirely possible that many, if not most, of the infants benefited on the whole from the added care. Still, the research is valuable in that it raises important questions about any potential drawbacks or undue expense. "We hope it stimulates further research into these patterns," Harrison says. As far as what expectant parents should do to ensure they receive the appropriate care, Harrison suggests asking your caregiver any questions you may have to become knowledgeable and informed, while adding that it's the responsibility of providers to explain to patients the reasons for treatment decisions.